Floyd Mayweather Jr.’s retirement and Manny Pacquiao’s anticipated exit after his next fight won’t decrease interest in thewelterweight division. In fact, the welterweights feature a select group of fighters who could make their case for best pound-for-pound consideration in the post-Mayweather-Pacquiao era. Talent and depth remain abundant. Undefeated champion Keith Thurman is among a group that includes fellow titleholder Kell Brook, Danny Garcia, Shawn Porter, Amir Khan and Timothy Bradley, who will face Pacquiao on April 9. Thurman, of Clearwater, strives for the ring accomplishments and recognition achieved by the division’s previous rulers. Seven years into his professional career, Thurman believes he is ready to take the steps that would make his bouts marquee events. Thurman, 27, has won all 26 of his bouts with 22 knockouts since turning professional in November 2007. 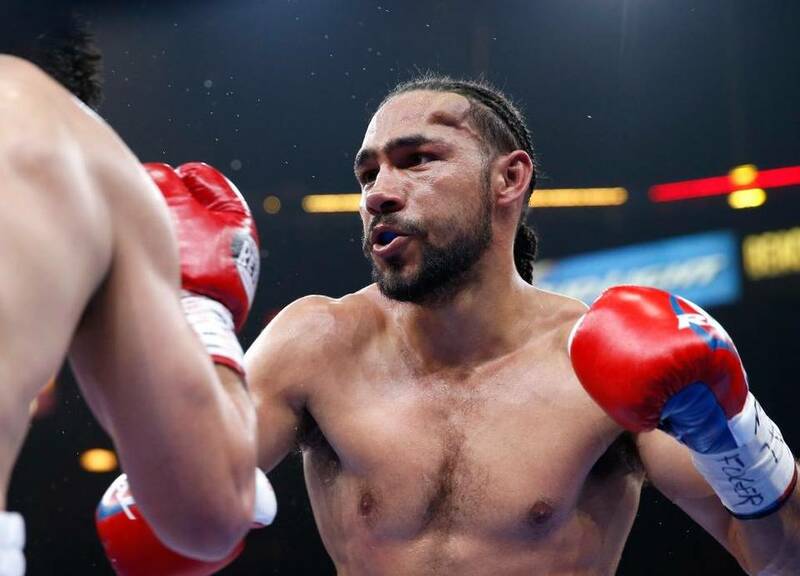 The reigning World Boxing Association champion, Thurman considers a unification title fight with any of the other welterweight titleholders an appropriate example of upholding the division’s profile and eventually landing him on the coveted pay-per-view medium. For Thurman, prospects of attractive fights improve thanks to one vital link. Thurman, Porter, Khan and Garcia, who is also unbeaten and rose to the welterweights after an impressive run as 140-pound champion, all fight under the Premier Boxing Champions banner. Premier Boxing, overseen by influential manager Al Haymon, represents about 200 fighters and has secured deals to televise bouts on three major TV networks as well as Showtime, ESPN, Fox Sports1 and Spike TV. As a result, Porter’s fights now benefit from wider exposure. Floyd Mayweather Jr.’s retirement and Manny Pacquiao’s anticipated exit after his next fight won’t decrease interest in the welterweight division. In 2014, Thurman expected a title fight against then-champion Porter before Porter lost his belt to Brook. Thurman also had his sights set on Khan. Although he has not finalized his first fight date for 2016, Thurman expects a ring appearance within the first four months. ▪ Former heavyweight champion and Olympic gold medalist Ray Mercer heads the 16-member class of the 2016 Florida Boxing Hall of Fame. The new selections were announced Saturday at the SJC Boxing Gym in Fort Myers. A native of Jacksonville, Mercer won the 1988 Olympic medal and had a brief run as heavyweight titleholder in the early 1990s. The 2016 class also will include late champions Alexis Arguello, Hector “Macho” Camacho and Beau Jack. South Florida residents selected to the Hall of Fame class are former super-flyweight champion Sugar Baby Rojas, trainer Dave Marks, fight judge Ric Bays and retired boxing photographer Jimmy Gestwicki. The 2016 induction ceremony will culminate a three-day event June 24-26 at the Intercontinental Hotel in Tampa. For information, visit www.floridaboxinghalloffame.com. ▪ Retired promoter Lucien Chen, who helped bring the Joe Frazier-George Foreman heavyweight title fight to his native Jamaica in 1973, died in Miami on Dec. 16 after a lengthy illness. A Kendall resident for the past 20 years, Chen was 88.